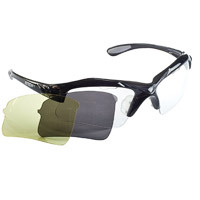 Our most recommended – the ventilation air holes work great so the glasses do not fog up, they are comfortable, don’t distort or block vision and the foam ridge prevents sweat from running into your face. 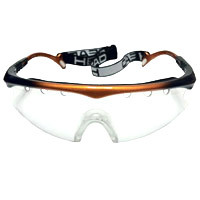 Here you get an interchangeable lens system with grey and yellow lenses as well, so you can use these glasses even for outdoor sports. And thanks to the little air vent they do not fog up. 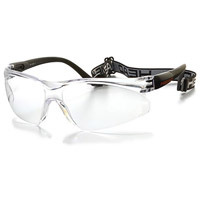 Nice cheap goggles with an easily adjustable slip-on strap. They are durable, comfortable, don’t cut into your face or nose, unfortunately many users reported a problem with fogging up. Is the Eye Protection Necessary? While the chance of an eye injury in squash isn’t high, it’s definitely possible to get hit not just with a ball but with your opponent’s racket as well! And you can even loose an eye completely, so we recommend wearing an eye protection whenever playing squash.